Japanese composer Nobuchika is well revered in his homeland, composing music for movies, documentaries and TV. Given this as a starting block it’s easy to expect great things when playing one of his albums; and safe to say this doesn’t disappoint. ‘Still Air’ is TN’s third solo output, concentrating on abstract ambient, programming and electronics that play with analogue instrumentation. The end result is an album that touches on ethereal sensibilities, with a beautiful array of harmonies spread out over the course of eight tracks. Driving undercurrents build a sense of urgency within the high end reverberated pads; and the stuttering notes pull emotionally on tracks such as ‘Erosion’, with just enough obscurity to keep the listener on their toes, without any undue alienation. 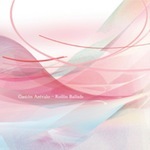 As an ambient album this falls within the gentler end of the scale. Adventurous and dramatic, there is much within the walls of this release to enjoy and I shall be actively seeking out his previous two affairs. I have been following this artist for some time now and have found the majority of his work to be excellent; and even daring somewhat, with his 24 hour long ‘The Endless Change of Colour’ USB flash drive, for example. Once again he has pushed the boat out with a static version of this album on CD, along with limited versions on vinyl and 300 variations of the album across the same amount of USB boxed sets. It’s a fine balance of crossing art with music successfully; and whilst I cannot speak for all the variations (of which I am sure must be minor), I have to applaud his gusto. Once again, Jules has excelled himself of harnessing the very essence of ambient music, basing this release on the art installation ‘Series 1024×768’ by Johannes Frances; where 786,432 pixels where simultaneously displayed and each changed colour individually every second. As ridiculous as it sounds, Jules’ music has a hypnotic effect, much in the same way as I imagine the installation did. As with every one of his releases, all I could do was sit back and stare into space and satisfyingly listen to the album end to end; which is all I can ask from any self-respecting fantastic ambient release. 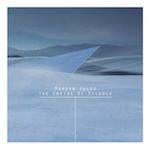 Celebrating a ten-year long career, Marsen Jules provides us with an album dedicated to vast landscapes of snow and ice; with this, ‘The Empire of Silence’. I have been impressed thus far with Jules’ output by and large; and this latest opus is no exception. With a serene range of layered pads, opener ‘Penstla’ glides across white dunes, allowing for ‘Tlaslo’ to brush the surface up into majestic icy dust devils. ‘The Empire…’ as a whole is a thematically sturdy release that sticks to it’s chosen subject matter well. The downside is that along the way things don’t differ much from track one to eight as a whole; however, Jules capitalises on the albums strength in the overall familiarity and fragility throughout, where the end result feels like one long seamless interlude of tranquillity. Marsen has hit something here that I found missing on other releases. With a clever use of spatial ambient awareness, he has covered the beauty of falling snowflakes, to the frostbiting gales of the Antarctic; where the beauty hides a brutality that is never felt from the panes of glass this album is viewed through. Touching on some of the mightier works of Fennesz is no mean feat; but here he achieves this with gusto. Jules is one of those artists that I have listened to for a while now and expected more from. Indeed the quality has always been there, but I have felt let down somewhat since the impressive ‘Présence Acousmatique’. It isn’t a case that the quality of his work has gone downhill; it’s more that his later releases left me disengaged somewhat, even if his last output ‘Beautyfear’ still rockets amongst the echelons of the German chill-out charts. This latest mini-album of sorts comprises of two tracks recorded at the GRM as an installation. As such, these tracks are plainly titled as ‘Part I’ and ‘Part II’; and the danger in releasing a CD of an installation is the quibble that more often than not, these scenarios are best witnessed in person rather than on a recorded format. However, Marsen has achieved here what many people attempting this have failed to grasp. I get a lot of albums where so called ‘artists’, faff about rolling in paint or whatever with electro-acoustic nonsense at an installation and think it will translate to recorded matter; and it ends up sounding like utter tripe. Jules though, lets his music do the talking as a glorious representation of ranging drones and expansive pads; that sound blissfully remote and exceptionally hypnotic. With an acute spatial awareness of his surroundings, Jules revels here in a double track timespan of work, where everything feels concise and direct; enveloping the listener in a sea of tranquillity, where the journey provides a respite from the troublesome humdrum of daily life. Given that the majority of releases I have acquired from the Oktaf label have comprised of solely ambient music, I was surprised by this latest release to drop through the door. Germany’s Lufth tamper with a range of electronic dub and ranging synth frequencies, akin to a fragmented Pink Floyd taken into IDM territory; and the results are pretty spectacular. Strictly down-tempo, opener ‘Democracy is Dead Like Printed Matter’, is an engaging extravagant mash of programmed toms, staggered bass and layer upon layer of glorious pads that resonate through the speakers in a suffocating hallucinogenic haze. Glitch ridden subtle beat work carries an enigmatic more sinister tone to the proceedings as ‘Methan on Mars’ delivers a sub-space oddity of sporadic madness; whilst ‘Duisberg Links adds a Jazz tone to the album that was unexpected. 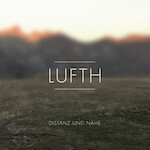 Lufth plays a varied array of styles on his debut release and everything is played out with consummate professionalism. As experimental as the project is, everything is tethered and harnessed tightly. The bind that holds this album together, grips the elements of madness that threaten to knock ‘Distanz und Nähe ‘ off its chosen path throughout; and its this attention to detail that is key to providing the greatest results. Broodingly dark, gritty and carefully measured, Lufth’s wire-like electronics are pivotal in providing a good source of harmony on this release; and it’s a pleasure to witness this being key as opposed to just straight-forward pad work as the frontrunner (‘Rotes Dortmund’ being an exceptional example). From start to finish this is a fine debut; and one which undoubtedly will go under the radar for a lot of people, unfortunately. Hunt this one out at all costs. Thirteen individual tracks are collated together here under the banner of the album title as individual versions of the same track effectively. 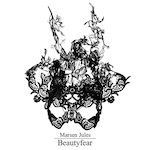 I have found previous works by Jules to be competent and entertaining enough, but lacking the spark to make them truly amazing; ‘Beautyfear’ once again, follows the same path. Marsen pens him self as neither an ambient nor experimental act, but a combination of both. In some respects he is correct, but I feel that his music is dominated by the former, where there is once again a tendency to draw on orchestral influences, massaged with drones. As usual there are momentary glances at brilliance where Jules captures inspired genius and I wish this carried for the duration of his releases from start to finish. These sparks of inspiration do set Jules apart form a lot of artists out there and most likely how he has landed himself some future soundtrack work. I would however like him to venture into other avenues now and step outside his comfort zone, to halt stagnation and the obvious similarities that rise with most of his output. Blissfully rising in waves of swarming ambience, opener ‘Souvenir’ draws from a background of living next to harbour in Montevideo, Uruguay. Layer upon layer of natural resources are awash with gliding pads that gradually fold amongst the drifts and gel the sound into a cohesive mass that is as clean as it is dense. Arévalo describes his sound as Pop-Ambient. Many genres are played with terminology wise and whilst I cannot find a place for the word ‘Pop’ within the realms of ‘Rollin Ballads’, there is more than his fair share of the counter-tag to his work. Arévalo utilises his field recordings well. More often than not I am dismayed to find that through lack of talent people forget that this medium should be used as an addition, rather than the main output of their work. The recordings on this album are merely there as a backdrop whilst he performs musically within the mix. There is a real sense of space and time that plays out well throughout the majority of this release and it’s easy to find your mind reaching out visually to the backdrop that is portrayed through your speakers; the only negatives I can draw on the whole are that many of the songs drift into one another too much with little to differentiate them from one another. Luckily however, the quality holds strong throughout; and given patience, ‘Rollin Ballads’ is more than a rewarding listen, once given the attention it deserves.